When Darren Hatman, known to the police and not in a good way, reports his daughter Leanne as missing he gets a relatively luke-warm reception. Leanne at nineteen fancies herself as a model and has been keen to shake off her native Devon for the excitement of London for a long time. But Darren insists that Leanne for all her faults would not forget her mother’s birthday - adding, ‘and that ‘bloody photograph’ has been stalking her’ which immediately gets Wesley’s attention. As Wesley begins investigation into the whereabouts of Leanne, the narrative is interspersed with the diary of Richard D’Arles in 1786. And his journal doesn’t make for comfortable reading. Despite the marvellous sights of Venice and Florence Richard is disturbed by one of his travelling companions. Not the Reverend Micah Joules, who is studying the art of the masters, but his cousin Uriah who pursues more dubious activities. As the story progresses we learn that Leanne works at Eyecliffe Castle, once home to the wealthy D'Arles family and now converted into a luxury hotel. The discovery of a body changes Wesley opinion, as to the importance of finding Leanne. Wesley's friend, archaeologist Neil Watson, has recently returned from a Sicilian excavation, where he made a disturbing discovery connected to Eyecliffe Castle. His surprises Wesley with the news that, while in Sicily, he met Leanne's alleged stalker. 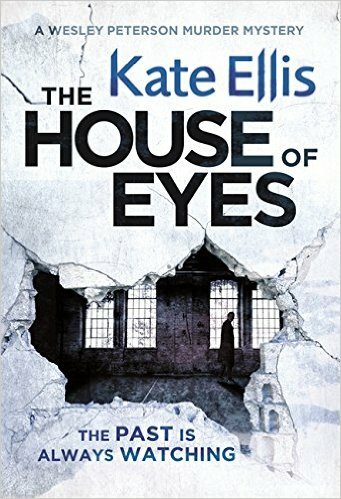 Kate Ellis has again produced a winner, as a current day murder weaves together past and present. And not just the past of 1756. As Wesley delves deeper he discovers that Eyecliffe Castle could have a connection with the disappearance of two girls back in the 1950s. Two intriguing mysteries woven across centuries make for riveting reading. And then for the many fans of this series add the personal traumas of both our much loved DCI Gerry Hoffernan who is dealing with his own demons, and a new monster that suddenly manifests itself for DI Wesley Peterson. In all a wonderful entry in this highly acclaimed series, you cannot miss this. Kate Ellis was born in Liverpool and studied drama in Manchester. She is interested in archaeology and lives in North Cheshire. Kate has twice been nominated for the Crime Writers' Association Short Story Dagger and has alse been nominated for the Theakstons Old Peculier Crime Novel of the Year. CrimeFest - only four days away!